The Community celebrated the Trinity Sunday together with Third Order Members and Trinitarian Sisters. All renewed their commitments to the Trinity. Fr. 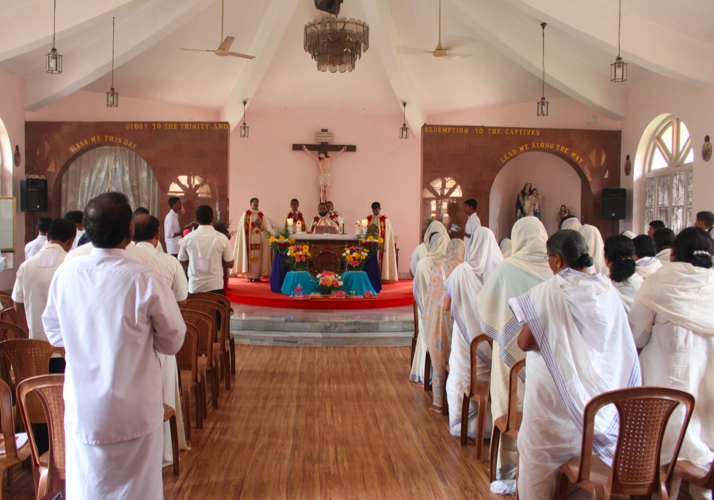 Jins Valiyakulathil, O.SS.T., the Minister of our house was the main Celebrant of the Holy Eucharist and Fr. Jaison Kulampally, O.SS.T. delivered the homily. There was a get together and agape meal for all.